We have some sad news today. This past weekend, From Soy Sauce Cancelled the funding campaign for Touhou Super Smash Battles. This is after they were fully funded in the first weekend and doubled their funding goal in a little over a week. However, the news is not all bad. From Soy Sauce will still be developing the game, they just won’t be running a crowdfunding campaign for the game. You can watch their video below as they discuss the reasons behind it, and they have also posted a transcript if you care to read it. In short, the reason why they cancelled the funding is because of conflicts with the ideals of Touhou creator ZUN. The slightly less good news is that ZUN does not believe in collecting funds at the beginning of a project. From that point we developed Touhou Smash until it looked presentable and towards mid-December we sent an email to ZUN asking him about his stance on crowd funding. We waited about 2 weeks for a response as to “Yes, or No”. On his guidelines he states “…*whole quote…you are free so I will leave it to circle like judgment, please consult me if judgment does not stick. In addition, if you find a secondary condition that does not seem to be here that does not meet the above conditions, in the decision, you may be asked to stop distribution please note”… So it has been two weeks, we followed protocol using our own best judgment and took an extra measure in our email asking to discuss kickstarter and other crowd funding avenues with ZUN since he asked to “consult if judgment does not stick”. After almost 3 weeks, we assumed that it has been a reasonable amount of time to view an email and that if he did not approve of a crowd-funding campaign he would have let us know. We then tweeted the article to ZUN and a few of his friends. Ironically enough, a few days later on January 16 at 6pm we finally got an email after all instead of a tweet from Shanghai Alice’s Copyright representative Fumio Oyamada. Though it is not technically written in policy, he explained, crowd funding is not recognized as a valid means to support a project because it is an investment and those investment methods are not tolerated. It is a shame that it took that long to get communication rolling between ZUN and FSS. Yet, they are not upset in the slightest. They knew such a scenario was possible. However, FSS will still be able to make TSSB. The project has been approved and it will eventually be offered for sale. And that leads us to today. So for those wondering whether or not The Project has been approved, yes Team Shanghai Alice themselves have told us to please use everything within our own abilities, except the Wii-U, crowd-funding, Amazon, Steam, and any site primarily used by foreigners to finish the game by ourselves. And that is exactly what we plan to do. That is a lot of “no’s” But the biggest and most important “Yes” Is the project is good to fly and continue to be developed! Finally, FSS has taken it upon themselves to initiate refunds for all those who made a contribution through Indiegogo. In the spirit of adhering to ZUN’s wishes, FSS is assuming that everyone that made a contribution wants a refund, unless they specifically state they want the funds to go to development. Our first priority is “YOU WILL GET YOUR MONEY BACK”. What we can do is change the title of the campaign letting everyone viewing know that it has been discontinued and is no longer accepting donations. Simultaneously all of the contributors will be emailed and informed of the campaigns status. There we will say the campaign has been discontinued and all donations will be reimbursed when indigogo gives us access to the funds 15 days after the campaign is over. A number of you have expressed that regardless of the campaigns status you would like to reject the reimbursment and keep your perk. FSS is legally bound by indigogo to begin providing the service promised in exchange for money. That being said, any Donor can has legal authority to reject their reimbursement and force FSS to provide the service we promised in exchange. We have been extremely blessed to have received the amount of support and enthusiasm from all our supporters. It was very heart warming to read just how excited you all are for the game. And we still vow to deliver that excitement. For those of you that wish to maintain your perk, simply respond to the email we send tomorrow, let us know, and it will be so. If you do not respond to the email by the end of the campaign, then we will assume you wish to be reimbursed. Let me repeat that, we are assuming that you do not want to keep your perk and want to be reimbursed unless you specifically notify us otherwise! With all that, we see an end to the crowdfunding of Touhou which will still go down as the fastest growing campaign and the campaign that raised the most funds in Oklahoma. However, because they had to cancel the funding, there will always be an asterisk next to that record. So in the end, the game will be released. Towards the end of the video, they announce what that game will contain. There will be plenty of characters and a story mode to play. However, the game will not be as big and expansive as they had hoped to make. We wish From Soy Sauce the best of luck in completing this project. They are doing a great job with development and we can’t wait to see the completed project. Last week, From Soy Sauce launched its crowdfunding campaign for Touhou Super Smash Battles. They launched the game with a modest $10,000 goal. Before the first weekend was over, they passed that goal easily. It seems that the combination of Smash Bros gameplay and Touhou characters and setting was the perfect setup for a winning campaign. Another part of their success came from the the desire for Touhou fans to pick their favorite characters to be playable characters in the game. Those high valued reward levels were quickly snatched up. Now that the first week is done, TSSB has raised over $16,000 and is still growing. They are regularly adding updates as well as new reward tiers. They have already sold 5 of 12 $300 spots to add a favorite character to the game as a Boss. The Game and the Endless Betatester tiers are also very popular having sold more than 100 and 60 respectively. With 24 days left, TSSB looks to be on track to hit at least a few of their stretch goals before the campaign is over. We will keep you posted on further developments. We have been watching Touhou Super Smash Battles’ development since From Soy Sauce started posting devlog videos on Youtube. These videos have shown an incredible talent in capturing the gameplay of Super Smash Bros. and the look and feel of Touhou characters and themes. With all the work they have poured into developing the character animations and moves of the two characters they have made so far, now they are looking to expand the roster at a much faster pace and have launched their crowdfunding campaign over at IndieGogo. The members of From Soy Sauce have been competitive smash bros players since 2005 and avid fans of Touhou since 2007. Ever since we played Super Smash Bros Melee back at it’s release we have always wanted to make and balance our very own Smasher. Additionally we have always wanted to make our very own Touhou derivative work since 2010. The nature of the Touhou fandom has always been very attuned to “Touhou-fying” other games into it (example: Super Marisa Land, Touhouvania, Nitroid, Tacoman, Megamari). After the release of Super Smash Bros Brawl, we expected it would only be a matter of time before someone Touhoufied Smash Bros, but that never happened. Six years later we decided to take initiative and make it happen as it would be a nice way to accomplish two of our long time dreams in one epic run! They also have a good number of stretch goals which add more characters, more stages, voice acting, new game modes and more. These guys know exactly what they want to see this game become. They are starting off with a modest $10,000 goal to get the funding to buy the professional licenses of the development software they use and build 12 characters and 10 stages. If they hit their $100,000 stretch goal, the game will expand to 26 characters and battle stages, and story and adventure mods featuring all the characters. 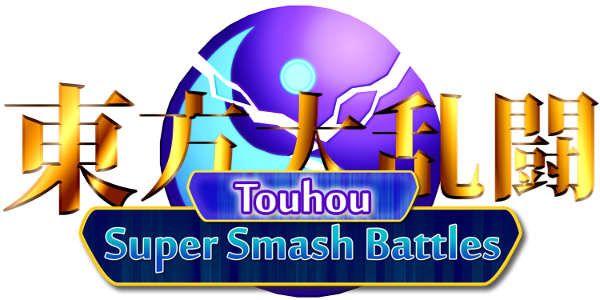 With only the first night done, Touhou Super Smash Battles has hit nearly $3,000 and growing fast. We will keep you posted on all the latest updates. Oklahoma has its first official WiiU developer as of today. In an update posted to Facebook, From Soy Sauce co-founder Kevin Higuchi posted the news that Nintendo called to let them know they were accepted to develop for the WiiU. Alright guys, believe it or not but our company, FromSoySauce, has officially been given the rights to develop games for Wii U by Nintendo…WHAT!?!? No, Seriously, Nintendo called me 5 minutes before my class to tell me they’d love to have FromSoySauce develop games for the Wii U. Thank you for all your support up to this point guys!!!!! Time to literally step up our games!!!!! …. CHILDHOOD ACCOMPLISHED!!! And I don’t even have a degree. They submitted their request a couple of months ago when Nintendo sent out a request for developer applications. Needless to say, they are excited to learn their application was accepted. The first game they plan to release on the WiiU is their current project, Touhou Super Smash Battles. It is currently being developed using Unity3D and thanks to a partnership between Nintendo and Unity, FSS will have an easy time porting it to the console. FSS plans on releasing an official trailer for Touhou Super Smash in January. Over the last month or so, From Soy Sauce has been working on their latest game, and first Unity 3D based game, Touhou Super Smash. We have been watching development of this game closely and so have the hosts of Touhou Con. The work that FSS has put into their game impressed those organizers and FSS was invited as special guests to present TSS and host a mini tournament. As a special treat for the winner of the tournament, that person gets to pick a character from the Touhou universe to be included as a playable character in Touhou Super Smash. Based on Facebook posts, these guys had a blast. Kevin has even posted a collection of photos from their time at the event. There is also a Twitch video of the tournament and a Q&A session with the From Soy Sauce team. As some of Oklahoma’s most promising developers, it is great to see the positive experiences From Soy Sauce has been having lately. These guys have an incredible knack for creating 3D platformers and TSS shows they are not planning on stopping any time soon. From Soy Sauce has been hard at work on their latest game, Touhou Super Smash. This game, if the title is not clear, is a combination of Super Smash Bros. gameplay with the Touhou IP. As part of this development, FSS has begun a regular YouTube devlog of progress on the game. So far they have released 7 updates showing off basic move sets brought from SSB as well as a few original move sets. Even if you have no clue what Touhou is, and I am still pretty foggy on it, this is still a fascinating inside look at a game’s development from concept to finished product. And if you want to see further into their development process, FSS has also been posting two other video series, one about Unity tips and another about using Maya.